I am going to make a confession here, so please be kind… I was once a terrible couch potato. Actually I was more of a desk potato. Most of my free time was spent in my study, on my computer, gaming, chatting, writing. Despite having been fairly active in my teens and through my university life, once I was working I didn't seem to have the energy left at the end of the day to do anything active. I know this is a common affliction. Finding time to fit in a workout can be a struggle for many of us. It's tough to get motivated, particularly in the winter months when it is cold and dark and all the best entertainment options involve being curled up under a blanket. For me this changed very suddenly one September. I rode my motorbike home from work, and noticed that my leather trousers were causing a really uncomfortable pressure on my right hand side. Over the weekend the pain worsened, and on the Monday, I was admitted to hospital with appendicitis. I left 5 days later following major surgery, as the infection had gone beyond the realms of keyhole surgery. In less than a week I had gone from being capable, mobile and apparently healthy, to walking in an excruciating shuffle - via nearly dying from rotten insides. In my convalescence I reflected upon how fragile our health really is, and vowed that when I returned to full health, I would no longer take it for granted. A couple of years previously I had taken bellydance classes. I didn't really get on with the class, despite being quite keen to dance, it wasn't the right teacher for me, or perhaps the right time, and as other commitments became more urgent, I stopped going. This time I decided I was going to do better. I did some research and found a really great teacher. I bought a small library of practice DVDs. I fell in love with the dance. So much that soon I was attending 2 or 3 classes a week. When I came home from work I no longer went straight to my computer. I would put on some music and practice my moves. I was loving my new hobby so much, I barely noticed how it was challenging my body. I became stronger and fitter whilst having fun, getting out of the house and making friends. As I improved my teacher asked me to join her performance troupe - so that was another class to attend! Tougher dance moves meant I had to raise my game, and soon I was putting in some intense yoga and pilates practice as well. In less than a year my whole life had changed . I was out of the house more, I was more active, I was travelling all over the country to perform and train. Most of all I was healthier, happier and more confident. Now I teach yoga and Arabic dance. I have come to see that mine is just one of so many similar stories. Dance is transformational. To anyone considering bringing more activity into their lifestyle, I would say, go for it. You will never regret giving it a try, and you could find a whole new lease of life. ETA: When this was first published, the vast majority of comments on the article were regarding weight loss. For clarity I would like to add the following. The focus of this article is health and fitness. Sometimes this equates to weight loss, or maintaining a slim figure, however this is not automatically the case. I am actually around 5kg heavier than I was before I started dancing, and a dress size larger. This is partly due to the 2 babies I have had, but the point is this: I have better cardiovascular fitness than before. My heart is stronger and healthier. My lungs are stronger and my asthma is better. My bum is undoubtably bigger, but it is made of solid muscle (that's where the sharp hip accents come from). My joints are less painful as they are stabilised and supported by dance muscle. Being a bellydancer is about being strong and healthy and feeling good in your skin, not about how stretched your knicker elastic is (and if it is, just buy new knickers, it's just a number and you'll be comfier). Learning to dance is just great fun. It's a skill that you can use in all kinds of situations, dancing around your kitchen, at parties, even performing on stage. Dancing has a purpose within itself, it isn't about mindlessly moving the muscles to achieve an aesthetic result. This means that you are likely to want to keep doing it. Why take up an activity you don't enjoy, just to get fit? Take up a dance class, learn new things, make new friends, keep coming to class for more reasons than just getting sweaty. Learning Arabic dance isn't just about learning the steps, you also learn about culture and music. There is a rich backstory to this art form and a good teacher will trickle-feed information and anecdotes to keep your brain as engaged as your body. You know when they say "nothing tastes as good as being thin feels"? Well, firstly, I am not convinced the person who came up with that had a very interesting diet, secondly, a distant, undefined goal of "be more healthy" isn't really all that motivating. It's a good intention, but I know that a warm sofa is a more appealing option on a January evening than a jog and that intention can feel a long way off. When you are going to a dance class, you have progress to track, you may have learning goals for the term, a choreography to perfect for performance, there is always something to keep you turning up. Some students turn up to their first class with a friend for "moral support", others find their friends there. Learning a dance that is appealing and accessible to people from all walks of life means meeting people who you might never have crossed paths with. Through dance I have become close friends with people I would be unlikely to meet or get to know otherwise. Your dance path will cross with all kinds of people and your love of the dance provides an icebreaker. You can socialise with your dance friends not just in class, but also at dance events like haflas. Many new dancers find a whole new social scene. This keeps you motivated to stay dancing and active. 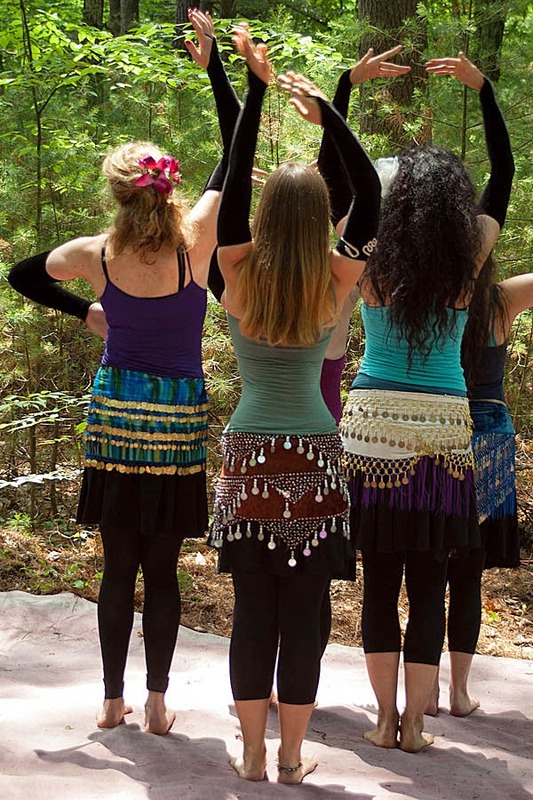 Going to a fitness class can be daunting, but most bellydance classes, especially beginner classes, are open and accepting of all kinds of people. It doesn't matter if you are older or heavier, you CAN dance. There are classes available for pregnant women, disabled dancers and those who just want to go a little more gently; most teachers will offer gentle alternatives if the class is a little intense for your fitness level or ability. Most classes are LGBT friendly. People of all genders are welcomed into my classes. 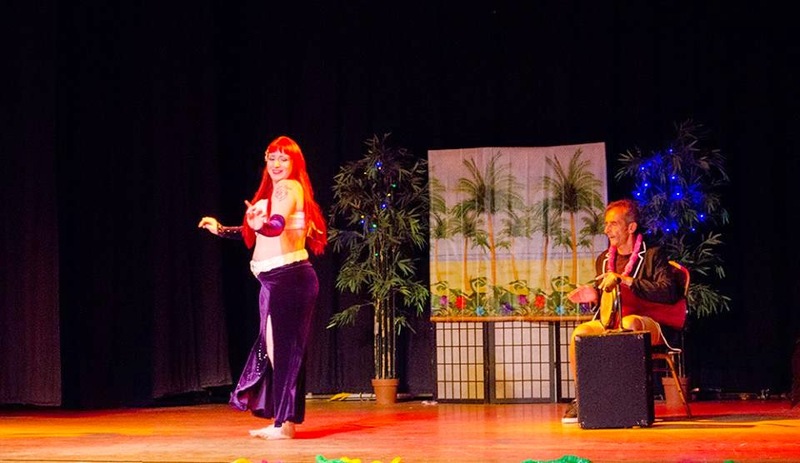 You don't have to bare your belly if you don't want to, a bellydance class should be a safe, friendly space where you can move, have fun and express yourself, no matter who you are or what you look like. We have already established that bellydance is great for your self esteem. Learning to move with grace and confidence, to walk taller has a knock on effect on how you feel about your body, no matter what size or shape you are. I have focused on fitness here, rather than weight loss, very deliberately. Weight loss, should that be your goal, is about lifestyle balance, diet and activity, and dance alone is not guaranteed to shed pounds. It is also perfectly possible to be healthy, fit and active whilst wearing a larger dress size. Regardless of size, negative body image is not helpful when you need to take care of your body. Crash dieting and inconsistent or binge exercising is not healthy for your metabolism, cardiovascular system or joints. When you love your body, you care for it better. When I feel happy in my skin, I am more active, I eat healthier, I am more present in my own body and I gravitate towards healthier lifestyle choices. Even if feeling better about yourself doesn't help your fitness regime, you're still feeling better about yourself, and that's never a bad thing. When you are learning bellydance you will find muscles in places you didn't know you had places! Dancing continuously through your class is a gentle cardio workout. Add in some extra shimmies and travelling and it can be a bit less gentle too! Bellydance increases your core muscle strength, and your flexibility. It improves your posture and your coordination. There comes a point in your dance career where you will want to cross train to complement your dance, but when you are starting out, bellydance gives a lot of fitness benefits for one class. Bellydance is great exercise in itself, but as you progress you will undoubtedly find that to improve your dance, you need to cross train. Swimming, yoga, pilates, some dancers run, some weight train. I am not a fan of exercise for its own sake. I find it tedious, but when I have dance as the motivation behind it, I find myself wanting to do it. I started out doing Vinyasa flow yoga, which is common amongst bellydancers for strength, flexibility and alignment. Suhaila's beginner DVDs introduced me to pilates and now I mix fitness training in these styles with weights and drills as part of my daily dance conditioning. Datura Online has some fabulous conditioning segments. Ashley's Built for Bellydance series is challenging, but quite rewarding. 9 - We want you to succeed. Many of the fitness and weight loss industries rely on your failure for their profit. If any diet club, pill or product really worked, helped you lose weight and keep it lost, then it would cripple its own market. These products and services rely on you losing a little weight to begin with, to convince you that it "works" but hope that you put the weight back on, so that you keep coming back and spending more. Many gyms operate on a model where there are more members than they have capacity. They know that a large portion of their members will not attend regularly, and they have no reason to encourage them to, as long as they pay the subscription. When you attend a dance class, your progress should be important to your teacher. We want to see you healthy and fit, and able to progress in your dance. As dance students get better, they attend more classes, out of love, not obligation. They might even start performing, solo or in the student troupe, and that is great publicity for the dance school. A good teacher will actively encourage their students' improvements, not hope that they regress in order to start over. Sure you can turn up to class in a vest and a pair of leggings without too many holes, but I can almost guarantee that as the dance bug grips, you'll be sporting jingly hip scarves, sequinned cholis and diamante studded pants. What other fitness regime supports the wearing of body glitter? Continuing on my Drag Queen inspired series, today we are moving on to one of the most important things a bellydancer can learn from Drag Divas: Stage makeup! Putting your game face on. Make up to dazzle your audience. A really common issue for new performers, and many experienced ones, is learning how to create a stageworthy make-up look. I teach a workshop to help dancers create their performance face, but it's not something that usually comes into regular bellydance classes. Many dancers do great daytime or evening make up, but are not sure how, or nervous to ramp it up for the stage. It's really important to adjust your make up for the setting. Daytime, evening, photography, close up performance and stage faces need to be adjusted to give the best result for the medium. Everyday make up will wash out and disappear completely under stage lighting, or even just in subdued evening light, but close up and under natural lighting, stage make up can appear over the top or even clownish. It takes practice, judgement and nerve to do a good stage face when the lighting necessary to apply it is not the lighting it will be viewed under. So here is your first Diva tip. It comes from Alyssa Edwards, who made her name of the pageant circuit. It's no good if your make up is fabulous, but only the people sitting at the very front can see it. If you are dancing, and emoting with your face, you need your expressions to be clear, right to the back of the room. This means strong brows, open eyes, strong lips and deep contours. Add a little extra if you need it to translate to video. It will feel like too much. If it feels like too much, it's probably almost enough. So carrying on from that, brows are compulsory. Always. I have always done my brows, I have to because mine are white-blonde and as soon as I put on any make up they become invisible and I look like an alien, but even if you have good brows for daylight, you need extra for photos or stage. It helps if you have a head start by shaping your brows well. If you are scared to take the tweezers to your face, get a beautician to, even just once, then maintain the shape yourself. If your brows are pale, you can dye them a little darker too. Queens usually glue down their brows. Yes, with actual glue stick. Then they draw them on higher. Doing this gives a more open expression, allows you to really exaggerate the socket line of your eye make up. It also re-proportions manly facial features. You can try raising your brow level and see how it works for you. I usually draw my brows to the higher part of my natural browline, and I maintain a pretty high arch regardless. Go careful on this though, you want expressive eyes, not permanent surprise. You can do your brows with pencil (sharp, little strokes to look like hairs) and/or powder pigment (narrow, angled brush, slightly damp). Powder is great for filling in brows that already have good shape. People are catching onto this more now, but the right shading can do wonders for your face. You can use contouring to completely change key features like jawline and nose shape, or just to enhance your natural bone structure so that it doesn't get "lost". Flash photography or stage lighting will wash out the natural shadows in your face, making you look like a pale pancake. You can counter this by constructing artificial shadows and highlights that restore the 3 dimensional nature of your face. Take a look at these images if you aren't convinced yet. It can be a case of applying a subtle, non-sparkly/shiny bronzer in the right areas, or going full on "cutting" lines with a dark pigment. Most queens seem to use several shades of panstick to create their contours from the foundation up. You need to highlight the areas that need to look "raised" and darken the areas that are in shadow. It is usual to contour the sides of the nose, cheekbones, jawline and hairline. There is a tonne of resources on the internet to help you learn about contouring, but it also takes practice. Every unique face needs to be contoured differently, so you can gather tips and experiment, or book an appointment with a make up artist who can show you what works on you. Cooking was something I had never heard of before Drag Race. Well, I knew that make up behaves differently at different temperatures, and often kept my pencils near my body heat prior to application, but the queens take it a step further by letting their make up sit on the skin to adjust before blending and shading, as in the image above. It makes it a bit easier to work with and gives it staying power. I have found it works for creams and powders, give it a try. Courtney is right, false lashes are amazing. Even if you have amazing natural lashes, and mascara, remember, you are beating for the back row. You don't need to go as far as Bianca here, who tends to wear at least 5 pairs. Lashes come in all kinds of styles, you can get tiny bunches to just add a few extra, natural looking lashes, winged lashes that get longer to the outer corner (my favourite), thick lashes, spikey lashes, coloured lashes, lashes with gems or sequins built in. It takes a bit of practice to get them right, but I bet you have a dance-friend who uses them already and can show you how. Pre-glued lashes are a bit easier to use, but be careful when you get them out of the packet as you can accidentally separate the lashes from the adhesive tape. Lash glue isn't too hard to get used to, if you have sensitive eyes though, be aware that most lash glue contains latex, but alternatives are widely available. Glitter and gems are part and parcel of the bellydancer's loadout, don't leave your face behind. In season one of Drag Race, I was immensely impressed with Shannel's ability to apply a large number of crystals to her face, in a relatively unobtrusive manner. The make up she designed for her team in episode 2 was beautiful and included around 10 AB gems, carefully positioned to add subtle sparkle as they performed. It's a good episode to watch because you get to see the process of designing make up for a group of performers. If you aren't sure about gluing things on yet, try a little glitter to really bring out your highlights or eye make up. Use proper cosmetic glitter, not craft glitter though! Hopefully this has given you a bit of an idea where to start, but ultimately you need to go and do your homework now. Don't try a new look out an hour before a big performance, play about at home and do some practice runs until you are comfortable with your look. If you are looking for inspiration, and arn't sure where to start, I'm going to recommend James St James Transformations, for some fabulous and often downright wacky makeovers, which allow you to see the process and get tips from some great make up artists. Now, go beat that mug! I am so very excited to be able to share my news for the New Year with you. I actually have 3 separate New and Exciting Things (TM) going on, and I have been exploding with the need to tell everyone, but waiting for final confirmations, so this is number 1! From January 2015, I will be teaching a new class at Bridgwater College. Tuesdays, 7.30pm. It's a great venue, a purpose built, mirrored dance studio in the Sports centre, easy to access form the M5 and right on the A39 (Bath Rd) in Bridgwater, with parking and everything. The first term begins on the 6th of January, it's 11 weeks of Fundamentals, which means lots of bellydance technique for new and returning dancers. And yes ELEVEN weeks, not 10, which gives us an extra lesson for an end of term party! 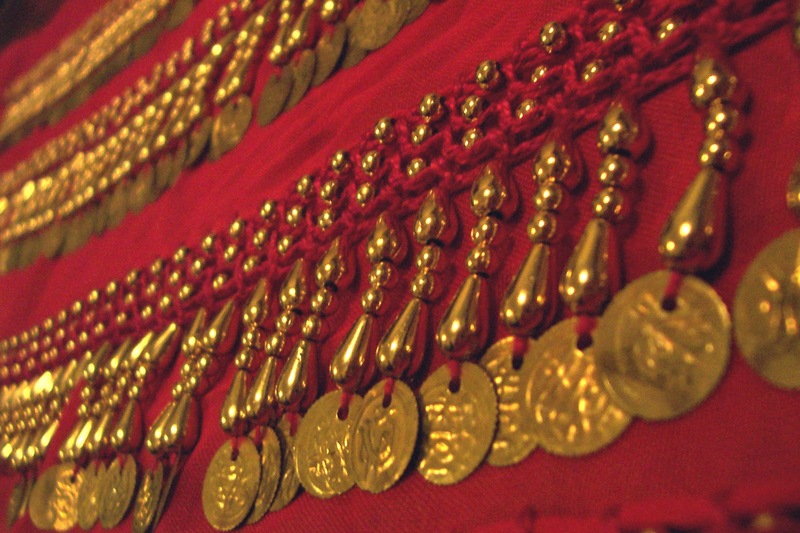 You can book this term, the whole term, 11 glorious hours of bellydance, for just £50! You should do this now on my website. It would make a great Christmas present for someone you clearly love very much. Or you can buy a 5 lesson card, for £25. OR you can just roll up on the evening, all casual-like at about 7.25 and pay me £6 for the hour. This is a brand new class, not just for me, but for Bridgwater, which a dancer on Facebook described today as "a bellydance blackhole", so tell your friends, spread the Raqs love and lets get Somerset shimmying! More details of the class are on my website, or the Facebook event page. When I started dancing, I was told that it was usual to be at beginner level in bellydance for around 2 years. At the time that seemed immensely limiting. I wanted to be good! I wanted to be doing all the fancy flashy steps and being awesome like the dancers who inspired me to learn. Graduating from the beginner group felt like a great achievement, and I felt glad to be leaving my "baby dancer" days behind. Now it is true that I do very much enjoy the flashy stuff, but I have gained a greater appreciation of the basics of the dance, and quite how much work there is to do there. Simplicity can be beautiful, and challenging. There is something special here, the moves here aren't hard, but this dance isn't basic. There is a quality to her movement that means that even in a simple figure 8, you can see she is a great dancer. You can learn to execute a figure 8 in under an hour, but not like that. Her musicality while we are here, is soft, effortless but skilled. My favourite dancers to watch are not those who can layer 6 movements on top of each other, hitting every accent and choreographing every facial expression, my favourite dancers are those who can captivate me with a hip drop, who turn the music into a visual that moves me. Dance is a language, having something to say and making yourself understood is more important to me than a huge and complex vocabulary. The foundations are just that, everything is built upon the basics. If you work on your basic movements, get them really strong, really controlled, improve your range, your flexibilty; that will show through when you start layering, travelling, compounding those movements. In addition, when the technique becomes second nature, only then does adding on the musicality, stage presence and subtle nuances become really possible. I often go back to beginners' classes. I might be going to another teacher, to see what they offer or to learn from their teaching methods. It might be digging through my dance DVDs and working through an instructional I haven't tried in years, or on a day when I don't feel up to much, going for something easy on Datura Online. Every time I learn something new. Every time I find ways to make it challenging. For example, a few days ago I was feeling a bit indifferent, but I knew I needed to fit some practice in, so I chose a 30 minute shimmy lesson. About half of the content was very similar to the drills that I do at least a couple of times a week, but sometimes having a virtual teacher helps to bring out that extra bit of effort. I didn't have to think about how long I had been drilling for, or what to do next, because the instructor was doing that, so instead I focused on something I had been working on elsewhere - the engagement of my deep lower abs in my dance posture. I realised that in doing this, concentrating on maintaining optimum posture in the shimmy, the weight changes and the layers, I was working really hard, and learning loads. This was not just a basic move I know well, but one of my best, and I realised there is still a lot of work and refinement I can do. I have found in dance, as with many other things in life, that the more I study and the better I get, the better I can see how much more study and practice there is ahead. So it's a good job I like dancing really. My advice to other dancers would be that no matter how good you are, how long you have studied, keep going back to the basics. Not just drilling on your own, or teaching them to your students, but taking classes, getting feedback, listening to how other dancers break down the technique. If you find you aren't working very hard, take a look at your posture, or your breathing; break the movement up even more, go slower and feel every muscle controlling the movement. Make it sharper, make it smoother. Use your core muscles to make it deep and internal, test your flexibility and make it bigger. When I describe my "Fundamentals" course, I always say it is not just for new dancers, or dancers who are new to me, but something that any student at any level would benefit from attending. Going back to those classes at a later level, you have a head start on getting right into the guts of the movements. Taking time to explore the most basic foundations of the dance will always serve you well.